I studied with John for nine years. Under his instruction, I earned Second Chair in the Maryland All State Band, Principal Chair in the Maryland All State Orchestra, Second Chair in the All Eastern Band, and acceptance into the International Summer Flute Courses with renowned British flutists, Jonathan Snowden and William Bennett. John has a passionate and magnetic energy and an extremely intriguing philosophy on music-making. A lesson with him is much more than firing off scales, arpeggios, etudes, and pieces for the sake of plowing through the flute literature. Rather, it is an intensive process of self-discovery through sound production and music; for what is technique if you do not have music? He will teach you how to make your sound active, buoyant, and full of energy. Most of all, he will teach you how to make music of your flute playing and transform your sound into a captivating and resonant sonority. Thank you very much for the wonderful class which you gave for my students. I have heard only the most enthusiastic comments from everyone who participated, and of course, they want to have another class. I was delighted to hear how you got everyone to improve and play with more freedom and expression. I would like to do this again. Having seen a flute that John Lagerquist has padded, I can recommend him to work on Haynes flutes. His padding and adjustments were as close to perfect as anyone can get. I find from what I have seen of his work that it is definitely up to Haynes’ standards. Wm. S. Haynes Co., Inc. I have known John Lagerquist as an esteemed colleague and as a flute repairman for over 25 years. His expertise as a technician stems from a thorough knowledge of flute mechanics and is coupled with his status as a highly talented flutist and piccoloist with the Washington Opera Orchestra at the John F. Kennedy Center, Washington, D.C. Through the years I have used the Lagerquist Flute Service frequently and recommend it to my students as the repair shop of choice in the area. I am very pleased with the expert craftsmanship as are my students and my professional colleagues. I have only the highest praise for John and Lagerquist Flute Service. John Lagerquist has been a mentor and a friend since I was in high school. 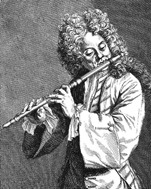 What a delight to discover in more recent years, his talents as a flute technician. John has been able to service and maintain my instrument on short notice, with incredibly brief turnaround time, at a reasonable cost. Most importantly, his work is impeccable. Having John Lagerquist put my flute in top playing condition shortly before my Milwaukee Symphony audition made a crucial contribution toward the confidence level I needed to play my best and win the job. I highly recommend Lagerquist Flute Service to those of you who really care about your instrument. John Lagerquist has been keeping my flutes and piccolo in superb condition for over 10 years. His meticulous work, knowledge of my performance needs, and his own artistry as a flutist are perfectly combined.